Home / Affordable Housing / Apartments for Glen Eden? Ten-storey towers of mostly one-bedroom flats have been proposed for suburban west Auckland, prompting local fears they will turn into slums. 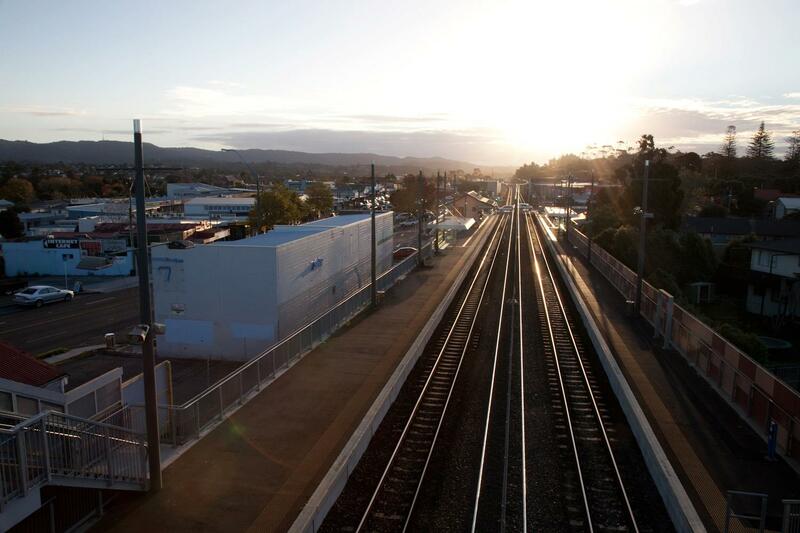 Developers have applied for non-notifiable resource consent to build blocks of apartments in the centre of Glen Eden, adjacent to the railway tracks and cemetery. Smaller dwellings and apartments have been touted by many as the future for Auckland and as one solution to the city’s housing crisis. If given the go-ahead, the apartment blocks would house 168 one- or two-bedroom units and townhouses along with carparking, retail space and some outdoor space for residents. The Waitakere Ranges Local Board said it was a radical proposal. We did although we said it was radical for Glen Eden rather than radical per se. The article correctly recorded the local board’s concern that most of the apartments were one bedroom only. We preferred a mix so that all stages of life were catered for. Apartments should be a subset of communities. The article also noted that the board has concerns about traffic issues, which we do, and also that we recommended that the application be notified, which we did. The article was picked up by Transportblog. Let me say that Transportblog is a must read if you want to understand local transport issues. The depth and quality of analysis is superb. The blog is also incredibly popular. Before it appears to have had issues with Sitemeter it was in the top five ranked local blogs behind Cameron Slater’s blog, whose figures are questionable, David Farrar’s Kiwiblog, the Standard which I write for and Martyn Bradbury’s Daily Blog. For a more technical blog writing primarily on Auckland transport issues to get this readership is rather phenomenal. The blog gave us a bit of a serve. Having blogged for so long and understanding the dynamics I can understand. But the comments were based on the article whereas the local board position was more complex that what the article said. The post suggested that we are opposed to new housing in Glen Eden. We are not but we are concerned that ten story developments are proposed. We accept that intensification should occur and development happening around the train station is a good thing. We have indicated for Unitary Plan purposes that we believe six story apartment houses should be allowed. But if this particular development is allowed it will get a head start on all other developments. The post also comments on our preference that two and three bedroom apartments also be constructed and provides interesting data showing that three quarters of dwellings in Glen Eden have three or more bedrooms. The data is interesting and suggests that more one bedroom units would be helpful although part of our concern was to allow for a mixture of residents. And if the intent is in part to provide for affordable housing then family size units are absolutely vital. We were criticised for raising congestion as an issue. It is correct that this sort of development will actually decrease city wide congestion because the incentive to catch the train will be so high. But there will be locally increased congestion because the planned apartments are on an intersection with an at level crossing that already experiences major congestion things will only get worse. One final matter that I have a very strong opinion on is the need to publicly notify the application. I am aware that this increases the time for processing and the expense but I believe that allowing the public to have a say provides an important check on development intentions. If you want to have affordable housing and a sustainable city then intensification, particularly around the transport nodes, is essential. As representatives of and advocates for local opinion we do need to make sure that any development also fulfils the needs of the local community. Very interesting. If they need resource consent then is there an opportunity to have the developer make some concessions? High rise housing in Glen Eden sounds fantastic, but 10 stories? 6 sounds more appropriate. But if they want 10 then let’s ensure they don’t shade existing housing, the flats all have (decent) balconies, all flats are oriented for sun and there are good sized unpaved area(s) available for use by residents. A number of 3 bedroom flats sounds a good idea, but what happens if investors buy these and stuff them full of students? Congestion as we build is a given so let’s use part of the developers contributions to council to help fund improvements in the area to reduce congestion. Regarding your public notification idea – what specific issues do you think the public might raise? If there are specific issues, then why not raise them now with the applicant, and ask for a solution? If the issues are not specific, e.g. “I just don’t like the height”, then is it really place of a few submitters to halt or even cancel the project just so we can listen to their complaints? We have elected officials and a Council full of specialists to help in making these calls, not ‘Mr & Mrs Jones’ who own property down the road. As far as the general public is concerned… we are having a say, right now, on your blog 🙂 Surely informal notification (by media) is a fair move these days! For my view (since i’m here), I simply question the proportion of 1 bed units on the basis that they are likely to be sold mostly to investors who won’t take an interest in the building (other than collecting rent), and leased to residents who don’t stick around for long in the community. Most cities have minimum guidelines on the proportions of 1, 2, 3 bed units in a block for similar reasons. The level crossing issue is for Kiwirail and AT to work out with the applicant. Intesification in the area is inevitable so they must have known they’d have to solve it sooner or later. You can’t put the brakes on growth because of such things. AT needs to propose a detailed design that works. and the applicant needs to implement it on site; theu would have identified the requirement early in the project, so no excuses. I would prefer there be notification of these sorts of applications so there can be scrutiny. The plan may drive the decision anyway but there should be public scrutiny of these projects. The level crossing needs a lot of work. In my view the only solution is trenching the rail line but the money would be significant.